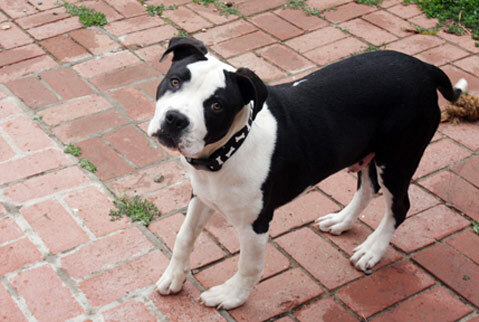 Last month, The Indy ran a wee story about Mikey, an injured pit bull puppy who was dropped at the Lompoc Animal Shelter with a fractured shoulder and other injuries that required thousands of dollars of surgery. Well, thanks to generous donations, he got the corrective surgery he needed. The six-hour operation was performed by CARE4Paws’ Dr. Eric Wright and was a very difficult surgery. “It had been six weeks since the injury took place,” Wright said. “The bone had healed in the wrong position and reformed. We had to place it into its new position, and because the injury was in the joint, everything had to be perfect to prevent the development of arthritis.” Fortunately, all went well, and Mikey has healed nicely. In fact, the pup (now 8 months) is ready for adoption. Anyone interested in adding Mikey to their family should call CARE4Paws at 968-2273.